4/23/2012- Steven Lemmon will returning to the White Sands Pupfish as the teams closer. He hit 95 mph at the Pecos League Los Angeles Tryout Camp held in Compton, Ca. Steve was named "The Caveman" by Andrew Dunn after he showed up at camp and looked like he was living in the Sacramento Mountains. 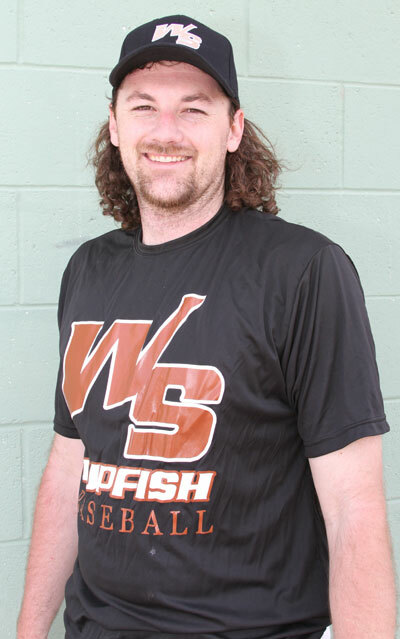 White Sands Manager Chris Paterson says "Steve was the best pitcher on White Sands Team in the early going. He was badly overused by the manager when he pitched eight innings one day and was asked to pitch the next day. His arm never recovered all year. Steve is a converted catcher. We will find a spot in our pen for the Caveman."